Catalogue / softcover / 24pages / 22 b&w reproductions / photographs by Barnabás Bosshart & Elza Lima. Texts in German and Portuguese by Markus Landert. Published by the Kunstmuseum des Kantons Thurgau, Kartause Ittingen, 1995, Switzerland. 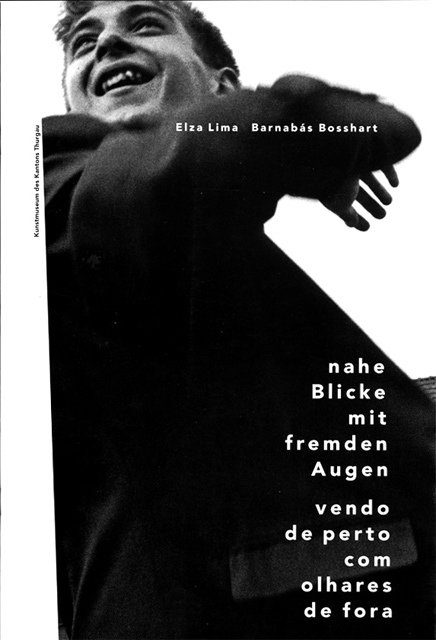 The publication accompanied the exhibition Nahe Blicke mit fremden Augen from 5 November 1995 to 25 February 1996 at the Kunstmuseum des Kantons Thurgau, Kartause Ittingen.